Police have named the man who died in a fire in Eastbourne last month. The burnt body of David Driver, 54, was found outside his flat in Sorrel Drive, Shinewater, on February 7. 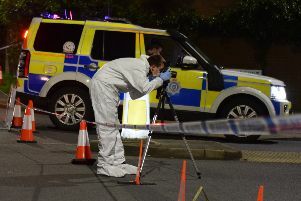 Sussex Police says officers are not treating his death as suspicious and an inquest has been opened and adjourned. The alarm was raised shortly after 2pm on Wednesday February 7 when smoke was seen coming from the garden of a property divided into flats in Sorrel Drive, off Milfoil Drive. Emergency services rushed to the scene but the man was pronounced dead. The delay in naming Mr Driver was because officers were unable to find his next of kin.